With tons of weed topicals on the market, be they for moisturizing or muscle relaxation, the cannabis plant has a number of therapeutic effects on your skin. 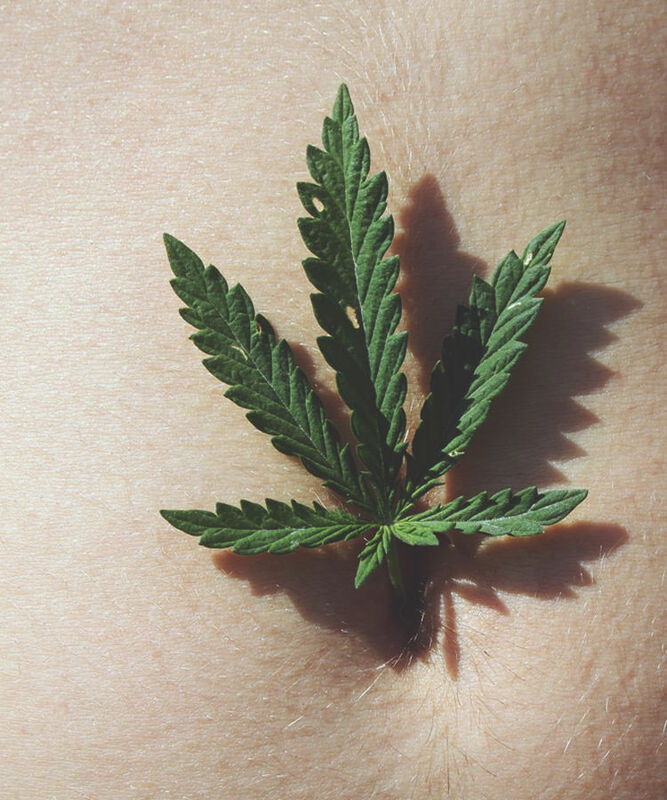 However, the extent to which cannabis is beneficial for your skin depends on how you use it. For starters, no matter how you ingest it, cannabis can boost your body’s testosterone levels, which can cause acne or hair loss. But don’t let this frighten you: You’d have to smoke a TON of weed for these sorts of effects to even become a slight issue. Cannabis can also have an effect on aging: Smoking it might cause more rapid aging, whereas topicals can rejuvenate your skin to give you a glowing radiance. This double, opposite effect has to do with your collagen. The smoke from THC can hinder the development of collagen proteins, whereas vaporizing, eating, or rubbing THC into your skin doesn’t. That said, cannabis topicals are especially helpful for dry skin, rashes, acne, and other conditions. In fact, cannabinoid receptors are not only found internally within the body’s endocannabinoid system, but also on the skin, as well. The skin contains a number of immune cells that protect the body and help manage inflammatory responses to outside irritants. According to a study, activating cannabinoid receptors on the skin can help with contact allergies and inflammation. Another study has shown that the endocannabinoid system helps regulate the body’s oil production and hair follicle function. Because the endocannabinoid can help with creating sebum, or oil, cannabis is a useful tool to fight dryness and help moisturize your skin (and hair). Cannabis can also help regulate hair growth. Some research has shown that THC and anandamide, an endogenous cannabinoid, can slow hair growth, depending on the dose. That means, if you apply THC to an area where you have unwanted hair, it can help curb the hair follicle’s productivity. For the above reasons and more, the market has seen an explosion in the availability of cannabis topicals. Whether you want to moisturize during a medicated massage, treat a rash, protect your skin, or merely enhance it, there are a number of products to choose from. Here are a couple of Jane Street‘s suggestions.